Allen purchased the Portland Trail Blazers NBA team in 1988 from California real estate developer Larry Weinberg for $70 million. He was instrumental in the development and funding of the Moda Center (previously known as the Rose Garden), the arena where the Blazers play. He purchased the arena on April 2, 2007, and stated that this was a major milestone and a positive step for the franchise. 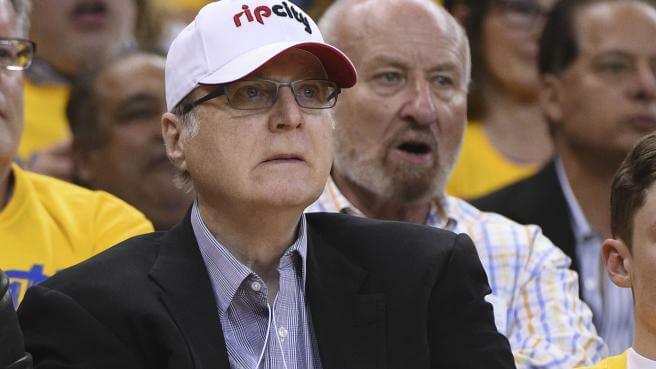 Since taking over the franchise, the Allen-owned Trail Blazers have reached the playoffs 19 times including the NBA Finals in 1990 and 1992 (As of July 2015) According to Forbes, the Blazers were valued at $940 million in 2015 and ranked No. 12 out of 30 NBA teams.